The answer was clear: Each woman fully embodied her power to lead, passionately, on purpose and unapologetically. To embody purpose – Marsh has learned, is when a woman has a clear lens through which to understand herself, she sees her full capacities and what she wishes to create in the world. Both grounded and liberated, she considers the power of her vulnerability to be one of her greatest virtues. On a personal quest to learn how to live a life of meaning and connection, she never needs to look too far to find unprecedented potentials. Generous with her heart, she makes plenty of room to choose what matters and refuses what does not. Consistently building personal excellence, she thrives in her ability to improve life for others. 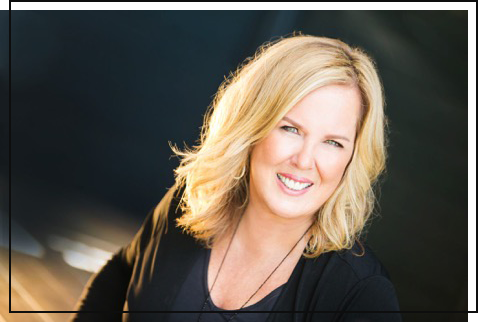 Though best known as a motivational speaker and mentor to entrepreneurial women worldwide, Marsh Engle is also a respected marketing advisor to small business leaders and start-ups. She consults with major corporations and media studios on women’s brand initiatives. She’s a multi-published author and creates meaningful campaigns generating worldwide impact. The award-winning AMAZING WOMAN’S DAY and THE ONE MILLION CALLED global movements have inspiring millions to live their highest creative calling, achieve their dreams and live their entrepreneurial destiny. In June 2016 she served as an elected delegate at the UNITED STATE OF WOMEN, a groundbreaking program sanctioned by THE WHITE HOUSE and led by The First Lady of the United States, Michelle Obama bringing together women advocates and business leaders who are dedicated to impacting success futures of women and girls. I began my journey by listening to what women had to say. The calling to create a new conversation became the Amazing Woman’s Day, a consortium of live gatherings and events traveling to multiple countries, across the United States, moving thousands to create, igniting a shift in the culture of our success. Throughout, I listened to thousands of women from all walks of life — from entrepreneurs and full-time mothers to students and C-suite execs to musicians, teachers and artists — share their definitions and attitudes around authenticity, creativity, self-value, worthiness – life and the way they choose to lead. As I spoke with the women, I found myself asking, What do these women with inspired motivations, leaders cultivating creative ideas, entrepreneurs pioneering new ways of doing business all have in common? Here’s what I know: When women do not have a clear connection with their purpose, the result can be utter chaos: a constant state of ups and downs; confusion; exhaustion from overwork; loneliness and isolation; dissatisfaction or even more, depression – in short, a dismal, diminishing misalignment takes place. But, when a woman has a clear lens through which to see her value and worth and she knows what she wishes to create, she is enlivened with a vibrant creativity. She becomes both grounded and liberated. On a personal quest to learn how to live a life of meaning and spiritual connection, she never needs to look too far to find unprecedented potentials. Generous with her heart, she makes plenty of room to choose what matters and refuses what does not. Consistently building personal excellence, she thrives in her ability to improve her own life and the lives of others. Way back in those earlier days, I made an agreement with myself. I promised myself that I would always do what I had to do to honor the woman I am – and all I was becoming – aligning with the life I was called to lead. I knew this was my sacred responsibility. And, I would dedicate myself wholeheartedly to being true to this agreement. “TODAY I intend to define a new set of agreements to live and create by. 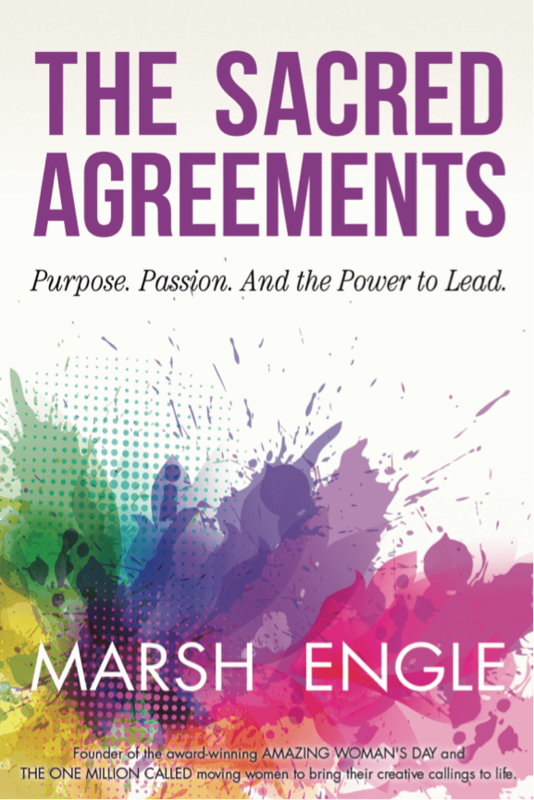 Marsh has a new book, The Sacred Agreements. Available for purchase and signing at the Temecula Valley Women’s Expo.